If you were old enough back in 1987 then the storm/hurricane that visited that October 15 can’t fail to have left a mental impression on you, as well as a physical impression on the landscape. I was on a school theatre trip that turned into something of a white knuckle ride as our increasingly frantic teacher was forced to detour the minibus around fallen chunks of tree even before the storm that no-one was expecting had properly got going. I somehow slept through the worst of it later that night (oh to sleep that deeply now) and pulled back my bedroom curtains the next morning to find I couldn’t see past a film of splatted mud. Severed phone lines lay in the street and the air rang all day with the sound of chainsaws cutting dangerous hanging branches and clearing fallen trees. 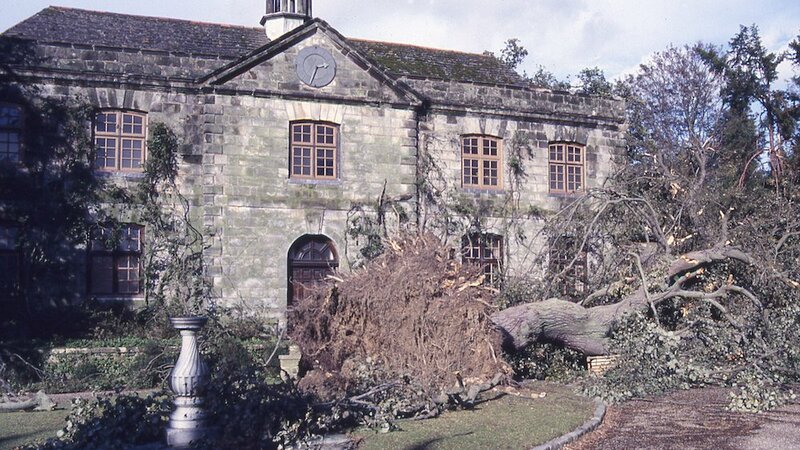 The highest gust in the UK that night was recorded at Shoreham-by-Sea, while Wakehurst and Nymans were among public gardens to lose many historic trees. Themed walks and a touring show are marking the 30th anniversary locally. The Great Storm tore up hundreds of thousands of trees across National Trust woodland. The losses were severe at Nymans, near Haywards Heath but the Trust took the aftermath as an opportunity to re-evaluate the way the way it worked in the outdoors. 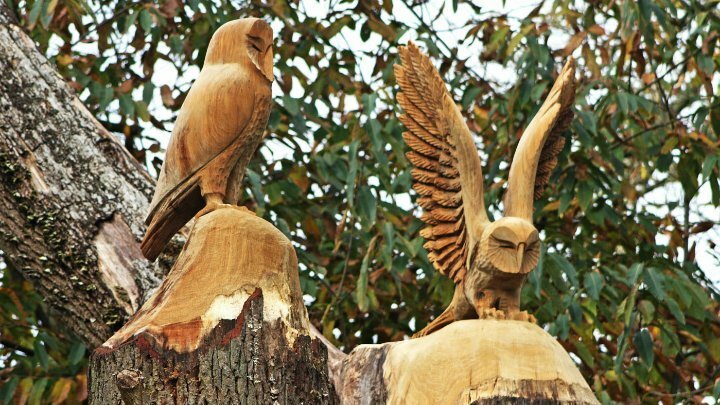 A special downloadable trail now takes you through the woodland at Nymans where there are still signs of the Great Storm including old tree trunks plus sculptures created from them. It’s a 2.3 miles (3.7km) walk rated ‘moderate’ in terms of difficulty. 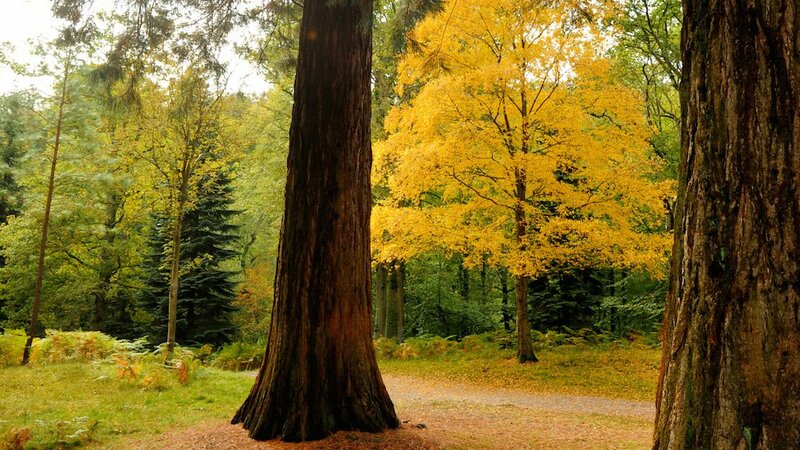 As part of its half term activities Wakehurst – which lost a staggering 20,000 trees in the Great Storm – has a photo trail encouraging families to discover which of its present day trees where storm survivors and which were not. Continuing the theme, children can guess the speed in a wind tunnel and make their own flying pheasant wind sock. You can read more about the storm at Wakehurst in a blog post from the garden manager here. 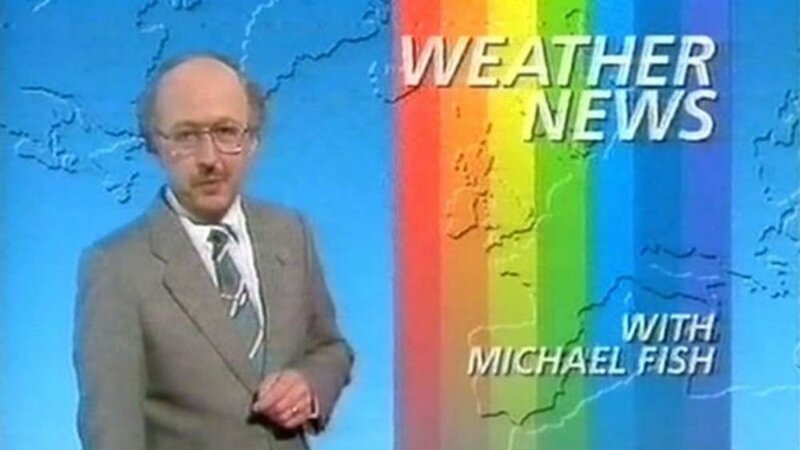 It was the forecasting equivalent of Neville Chamberlain’s “peace in our time” – the October night in 1987 when the BBC’s well-loved weatherman Michael Fish appeared on live TV and scoffed at the rumour of an approaching hurricane just hours before the south east of England got an almighty walloping. Now, on the 30th anniversary, this humorous one-man show takes up the fictional tale of a certain Michael Phish, battling a BBC cover-up. 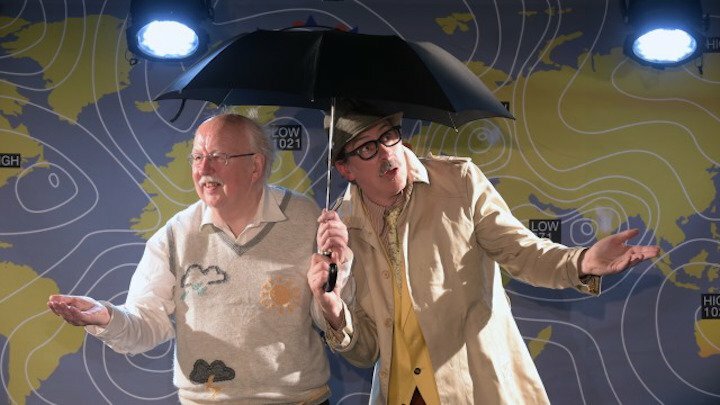 A Fringe hit, it has been getting great reviews and the real Michael Fish must take it in good humour because he appears afterwards in a Q&A to explain for the umpteenth time just how the Great Storm had he and his colleagues foxed. It’s in Sussex during this 30th anniversary month – at Brighton’s Komedia on 22 Oct then the following weekend at Worthing’s Connaught Studio and tickets for each show are £13.50.